When my friends taste soutzoukakia for the first time, it is love at first mouthful. If you’ve tried soutzoukakia too, you’ll know what I mean. That’s why they are top of my list of traditional Greek dishes. The secret to this recipe lies in the way soutzoukakia cleverly combine middle eastern spices to their best. I fell in love with soutzoukakia visiting Lesvos when I was about 10 years old. It was no surprise considering the island’s rich gastronomic heritage. 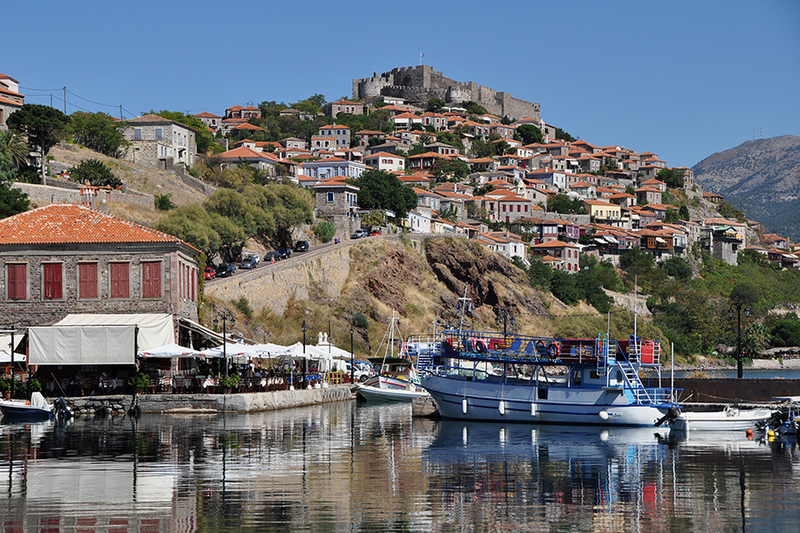 Lesvos is a mecca for ouzo lovers, and is renowned for its plentiful seafood and outstanding array of local produce (including olive oil, cheese, honey and fruit). But the island’s vibrant, and at times turbulent, history has also captivated me to this day. After the Ancient Greek world and Roman Empire faded, Lesvos joined the glory of Byzantium. Later it prospered under the Genoese, before falling to Turkish occupation, only rejoining Greece in 1912. Historically, Lesvos played an important, but unsung, role in Modern Greek history. Only 9km from the Western Anatolian coast, it received Greek and Armenian refugees fleeing Turkish territory after the Great Fire of Smyrna, which saw the destruction of a truly cosmopolitan city. Trailing the last bitter notes of WWI, the fire brought a cataclysmic end to the Greco-Turkish war in 1922, followed by the Armistice of Mudanya, which dictated a forced exchange of Greek and Turkish populations culminating in the Treaty of Lausanne. The treaty defines modern day boundaries for much of the Balkans and Eastern Mediterranean to this day. As for 10 year-old me visiting Lesvos, having lived in the distant echo of such events, and being unaware of their grave significance as a child, I experienced everything through taste, smell and sound. I remember great story telling about fragrant lemon groves, fertile lands, French patisseries, café-Aman in Smyrna and Aivali by grandmothers, nonnas and uncles. My great-grandmother was from Smyrna, of Armenian origin, and my great-grandfather, Greek from Aivali – his family passed through Lesvos before they met in Peiraeus, bringing their music and exceptional culinary talents. Back in Lesvos, in that tiny fish tavern in Molyvdos, a simple meal became an epiphany; it awakened my taste buds and 20 years on I am still ranting about soutzoukakia. I simply cannot forget using my hand-chopped, fried potatoes to mop up every last drop of the velvety red sauce. The aroma of cumin, the playful cloves and wafts of cinnamon that I now cherish so much. It was the only food I’d eat during that holiday. Being a fussy eater as a child, my new obsession spurred both my grandmas into a marathon of soutzoukakia making, almost sparking another World War. Competition was fierce and the judge obnoxious. Nothing is quite like the soutzoukakia I tried in that little tavern in Lesvos, but with a bit of experimentation, and of course gran’s culinary wisdom, I think I have come pretty close. As grandma says Soutzoukakia need cumin and cumin is a weird spice, if not well balanced it leaves behind a trace of bitterness you will need 5 trays of baklava to forget. 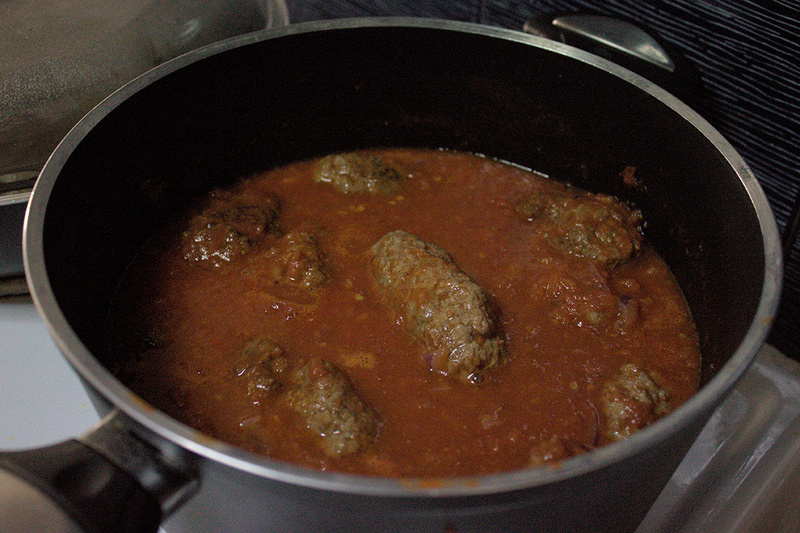 Now the secret according to her is to use cumin seeds, quickly browned and crushed, added to the meat patties and the moreish, thick tomato sauce. In addition to the cumin I realised that to get the authentic Lesvos taste, you need to add a bit of cinnamon, cloves and allspice to the sauce. For the mince, you need to soak the bread, crusts off, in red wine for a little while and then squeeze the excess out of it. You don’t want the mince patty swimming in liquid, it should be firm. 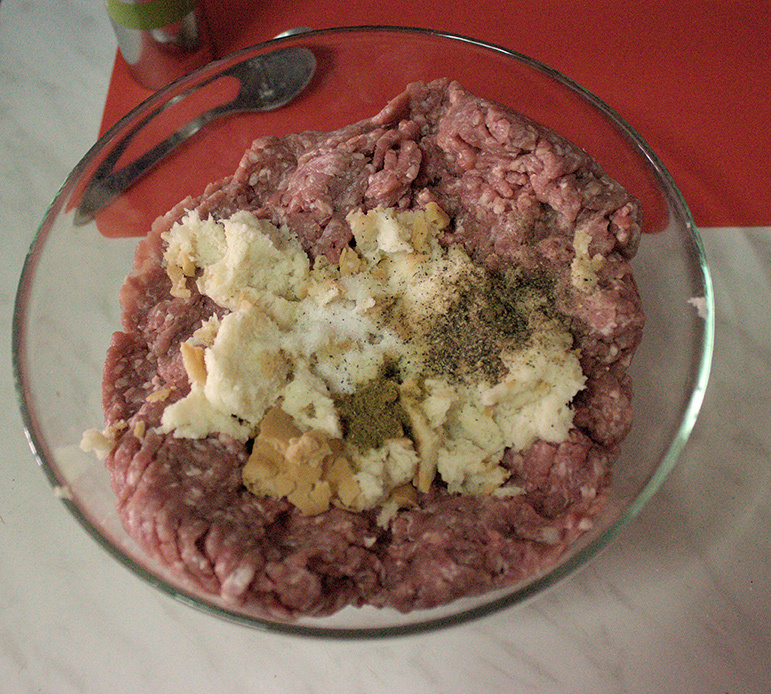 Prepare your garlic cloves, gather the spices and add it all to the mince meat. Kneed for 1-2 minutes and let it sit, preferably in the fridge. 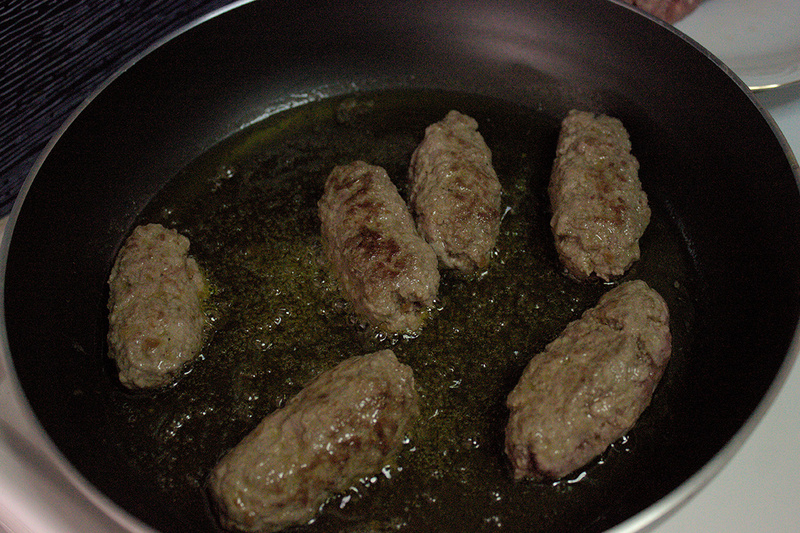 Once ready to roll, take your meat mix and shape it into oblong meatballs. Then roll them in flour and shallow fry, a minute each side should be enough. You can start with the sauce as well. Finely chop your onion and brown, add the pressed garlic and then add your grated tomatoes. Instead of water, add the wine and the tomato paste, sugar, cinnamon stick, all spice berries and cloves. Perfect accompanied by rice or freshly fried potatoes. In case this gave you an appetite for history, there are many exceptional books on the forced exchange of populations between Greece and Turkey. Twice a Stranger by Bruce Clark is a really good choice.